As my graphic novel print release date draws closer, I am beginning to receive more and more reviews of the books I shipped out almost a year ago. The final printed, public version of the graphic novel will be slightly different than the older promotional copies, as well as the web released version, but the story remains the same. 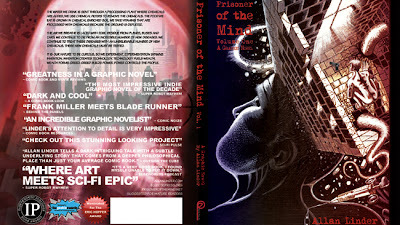 Above, is the final hard cover of my graphic novel Volume 1. As I said before, the book will be released in both hard and soft cover form, along with a serialized comic book of each chapter. There will be Five comic books released in total for Volume 1., and another 5 or 6 when Volume 2 is released next year. 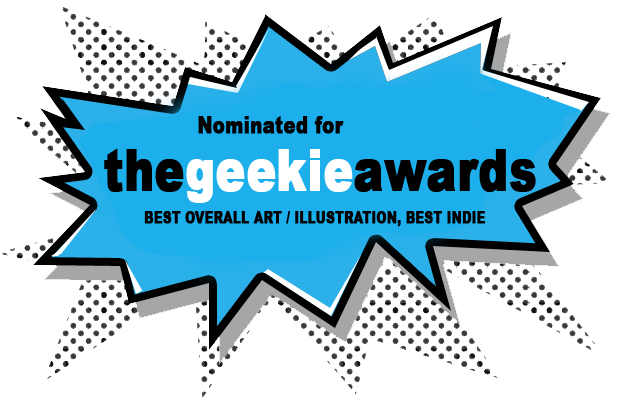 The reviews have been really encouraging, and along with that a few copies have been submitted for awards. 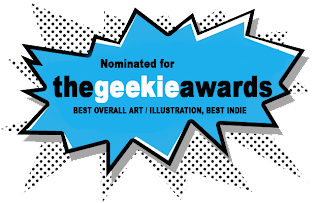 The latest award is the Geekie Awards which you can read more about here. There is an interesting panel of judges for this Indie Awards show. You can check out their profiles here. I also believe their will be a public voting component to it. If there is, I will reach out to you for a vote in the future. Be sure to check back in to follow my progress. Thanks for the support.